The best boxing betting parlays are the ones that work. The worst ones, at least the worst feeling ones, are the plays that string together one bet too many so that the bettor is oh-so-close to the big store but ends up with nothing instead. Because parlays, also known as accumulators or a combo bets, are individual bets linked together into one bet in order to combine potential payout totals, all bets in the parlay have to win (or at least not lose) or the entire bet is lost. If any of the bets result in a push or tie, the parlay moves to the lower number and the odds reducing accordingly. But one loss and the whole thing comes crashing down. Parlay betting should always be a consideration when forming your boxing betting strategy , but stringing two or more bets together without error is an incredibly difficult task for even the most seasoned gamblers. Sharp bettors know parlay bets can pay huge dividends, but they limit the number of parlay bets they make to ensure they keep their bankroll safe from losing all potential profits from missing just one bet. Still, many bettors keep parlay betting in at least some form as part of their overall betting portfolio if even just as a small subset of their overall betting strategy. The potential winnings are just too great to pass up, so betting smart and according to one’s means and overall personal betting strategy is important to consider for anyone looking to play the market. Parlay betting for sharp punters who follow the sport closely most often involves parlaying favorites together for upcoming bouts to increase the odds for fights that would otherwise pay paltry returns on single bets. That’s because betting on favorites to outright win in boxing is a commonplace occurrence for those who regularly bet the market. With nothing like point spreads for bettors to try and beat, the only action that matters is what happens inside the ring on fight night. With that in mind, the better fighter usually wins the fights and top boxing bookmakers know more often than not who the better fight is for fights that get the most betting action. 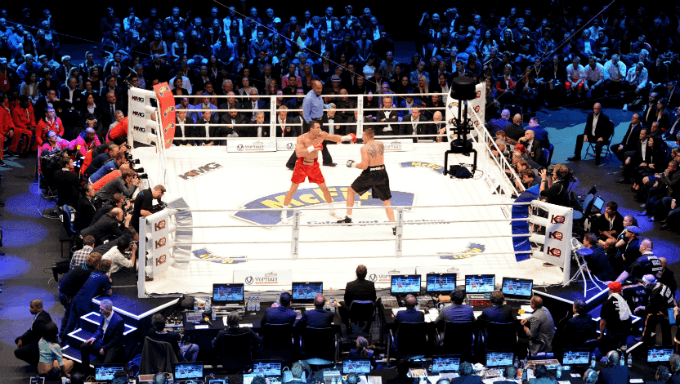 Boxing parlay bets can maximize returns but one has to be wary of trying to string together too many bets into one parlay. Smart punters know each added bet to the parlay adds an incredible amount of risk to the equation, so where the glamour of a huge return might be hard to pass up emotionally, the smart play is to usually stick to limiting parlays to two or three bets. While the idea of betting the entire card is a fascinating idea, the statistical probability of it happening with any kind of regularity is low and smart bettors know it. That doesn’t mean the smartest boxing punters never go big on parlays. Sometimes a bettor just sees too much value between the undercard and main event or series of boxing prop bets to pass up. All it means is that going big on boxing parlays for those who hope to consistently make profits on boxing bets know that going hard on more than two or three team parlays at a time are rare exceptions to the rule. Even with limiting parlays to two or three bets in one parlay at a time, it’s important to limit the total number of parlays one bets in comparison to the total number of bets placed overall. For new bettors, it can sometimes seem like a good idea to parlay bets randomly together. But just because single bets on fights make sense doesn’t mean it holds true for them being in a parlay. It’s best to limit parlays to only those few bets that come along ever so often one has no reason to doubt the logic behind. Boxing’s pound-for-pound elite superstars, the ones who appear to be once-in-a-lifetime type fighters, are good parlay options, but putting together parlays of random fighters from across various weight classes that just happen to look like they might win the fight ends up being a losing hand in the long run for most everyone who tries it.